I love DVCS for one single reason: merges are so much easier than with traditional version control systems, and you can use it in a disconnected way for almost 100% of the time. Coming from a traditional world, interoperability is key. So here are some links that greatly helped my getting started with DVCS (a really long while ago; this post has been way overdue). Usually, the D in DVCS is regarded as distributed. But it can have multiple meanings (even at the same time), depending on how you use it. Because it leads to experimenting, which makes you a better programmer: Version Control Makes You A Better Programmer | Cocoa Is My Girlfriend. Because you will never lose your repository: Embarcadero Discussion Forums: XanaNews users …. Because… Intro to Distributed Version Control (Illustrated) | BetterExplained. Because of the demise of traditional version control systems: SVN projects on SourceForge, CodePlex and other sites are massively migrated to DVCS. Note that for by hosting on USA based or USA related providers, NSA can probably do whatever they please. GitHosting – Git SCM Wiki. Mercurial – Wikipedia, the free encyclopedia. Comparison of open-source software hosting facilities – Wikipedia, the free encyclopedia. I have experience with the sites I mention below. When time permits, I’m going to try some non-USA hosted providers as well. can host both GIT and HG for you. (it is from Atlassian; both public and private projects; free for private projects up to 5 users). HG forking from mercurial to mercurial can be a bit of a pain when you want to pull to the original though the documentation indicates this should be painless. The reason is that in order to fork, your repository needs to have content (with zero commits, it cannot set repositories apart). Tip for a first commit: make sure you have a good README file in your rout (you can use various extensions), as it will get a prominent place at your bitbucket repository page. can host GIT for you. It can also hosts GISTs (small code snippets). Note it is USA based too. can host both TFVC and GIT for you (it is from Microsoft; payed if you have over 5 developers). Note it is USA based as well. can host TFVC, GIT and Mercurial for you (also from Microsoft, but free, though supports only public projects) . Note it is USA based. an SVN front-end to TFVC. CodePlex uses this a lot, and I used it client-side to pull a TFS 2005 repository to a user that could only do SVN. I could never get this to work on TFS 2005 server side, then never bothered as I switched to GIT/Mercurial soon after. hgsvn 0.1.9 : Python Package Index. that page includes an example on how to clone from SVN, then push to HG. durin42 / hgsubversion / wiki / Home — Bitbucket. example of usage is at Interacting with Subversion. and svn – Is there a way to use bitbucket to fork a subversion project? – Stack Overflow. ConvertExtension – Mercurial. this is built in into HG, is not limited to SVN as source, but is also less sophisticated than HGSVN and HGSubversion. Getting Started with Git in Visual Studio and Team Foundation Service – Visual Studio ALM + Team Foundation Server Blog – Site Home – MSDN Blogs. 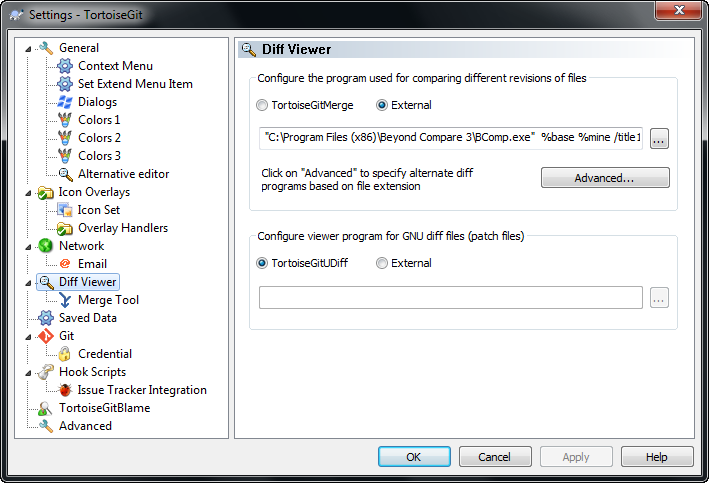 GIT TF: Announcing Git Integration with TFS – Brian Harry’s blog – Site Home – MSDN Blogs. GIT TFS: similar to GIT-TF, but works cross platform. git-tfs; How do I use git-tfs and idiomatic git branching against a TFS repository? – Stack Overflow. GIT and Mercurial are so so similar that there is both a Hg-Git Mercurial Plugin (free command-line tool) and Kiln Harmony (payed hosting service, but free for teams up to 2 developers). Normally you work on a local for of a more global repository. Locally you branch/tag on work (then merge back into a more mainstream branch) and finally push your work (or create a pull request) to integrated it in other repositories. But if you are going to do major work that you are not sure you are willing to push back, then you are going to fork locally as well: Forking a Repository – Bitbucket – Atlassian Documentation. Note that pull requests between BitBucket/GitHub/GoogleCode are not possible (hopefully yet). Actually it takes a bit of effort to push to multiple servers so I’ll ever that to another blog post. Both are a set of scripts (Python for HG Flow, Shell for Git flow) assisting in managing your workflow. The concept behind HG Flow is based on Git Flow, which has been made after the article A successful Git branching model » nvie.com (see also the list below). For an example, examine the commit flow of the HG Flow project itself. Why aren’t you using git-flow? – Jeff Kreeftmeijer. Git Workflows and Tutorials | Atlassian. Centralized Workflow | Atlassian Git Tutorial. Feature Branch Workflow | Atlassian Git Tutorial. Gitflow Workflow | Atlassian Git Tutorial. Forking Workflow | Atlassian Git Tutorial. A handy workflow image for newbie mercurial users. Some people go as far as locally committing on every build they make: Mercurial workflow for personal projects (with a .net bias), which you can do in Delphi with postbuild events. The Tuenti Release and Development Process: Once Upon a Time | Tuenti Corporate. A successful Git branching model » nvie.com. HG Flow UserManual — Bitbucket. Integration Manager Workflows & Pull Requests with Git and Mercurial. Github: Fork Queue vs Pull Request – Stack Overflow. Git team workflows: merge or rebase? | Atlassian Blogs. The Integrators Workflow- Stack Overflow. ▶ Git Workflows Demo: What is the Integrator Workflow? – YouTube. git – How do I contribute to other’s code in GitHub? – Stack Overflow. The best is to do all your work in feature branches, as that makes working with pull requests a lot easier. git – My pull request has been merged, what to do next? – Stack Overflow. git – How to update a pull request – Stack Overflow. Even in a shared repository model, forks and pull requests have benefit as they allow for discussion / mentoring / code review. One of the drawbacks of files-based repository databases is that if they get damaged, you are hosed as downloading a fresh repository can take a long time. HG, GIT and SVN store their database in local directories named .hg, .git and .svn. You should be extra careful with them. So first and for all: make backups! Then: make sure you disable virus scanners for your .hg, .git and .svn directories. For both SourceTree for Windows and Mac OS X, you can choose to use System (pre-existing) command-line versions of HG and Git, or embedded versions of HG and Git. Their clear aim here is that you should seldom be bothered with using the command-line tools, and that indeed works for most of the time. Another very strong feature is that SourceTree supports both HG Flow and Git Flow out of the box: no need to use the flow command-line tools here. There is a good Git Flow guide here: Smart branching with SourceTree and Git-flow | SourceTree Blog. Finally, SourceTree has some extra built-in support for the repository hosters Bitbucket and GitHub making it easier to interact with those. 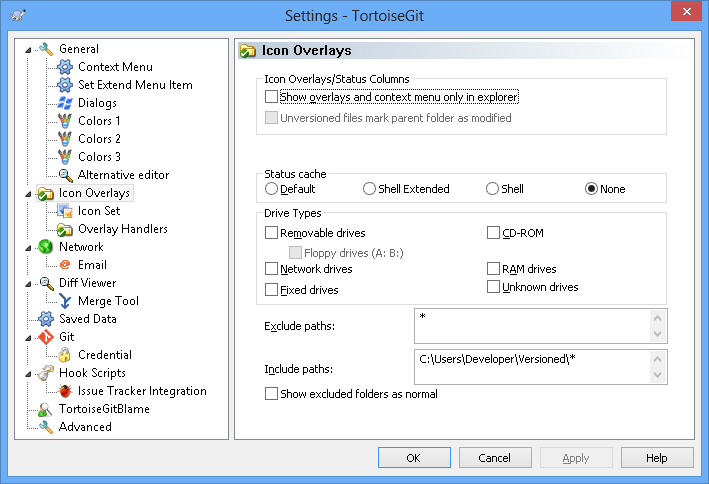 All Tortoise* downloads, except TortoiseGit (go figure!) can install command-line versions of the tools. TortoiseGIT requires the commandline tools for msysgit to function at all. In my experience (before discovering SourceTree), I needed to go to the command-line a lot, especially for TortoiseGit and TortoiseSVN. TortoiseHG has a way better GUI: they include HG Workbench – see image on the right – , which none of the other Tortoise implementations have leaving a clear gap for SourceTree (next to the virtually non-existence of good other GUI based VCS tools on Mac OS X). HG for Windows builds: download the Mercurial* from the Selenic downloads. GIT for Windows builds: download from msysgit full+installer+official+git (the msysgit downloads are marked ‘preview’ but actually are the correct files, note that for confusion, TortoiseGit 1.8.4 corresponds with msysgit 1.8.3, and TortoiseGit 1.8.5 with msysgit 1.8.4). Edit: msysgit moved to msysgit.github.io. Make sure you configure “check-out as-is, commit as-is” so Git doesn’t change line endings. 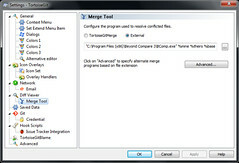 SVN for Windows builds: alagazam.net or the man suggestions from this SO question. SVN Character Set Conversion Errors. unicode filenames on windows mercurial 2.5 (or future) – Stack Overflow. GIT for Windows Unicode Support. Be careful with file content. For instance, TortoiseHG does not like UTF-16 files with BOM: it thinks they are binary: Converted `GroupProj.xsd` from UTF-16 to UTF-8 as TortoiseHg does not like UTF-16 files (it thinks they are binary). svn – Status “S” in Subversion – Stack Overflow. SVN: What does the status “switched relative to its parent” mean? – Stack Overflow. version control – Can I see the currently checked out revision number in Tortoise SVN? – Stack Overflow. batch – Getting the current Revision number on command line via TortoiseSVN – Stack Overflow. For GIT and HG you need this a lot less, but when you need it, they don’t have it. SVN 1.5 added a great feature (improved with 1.6) called relative URLs (they start with ^, .., / or //) which made a lot of commands easier. Since HG and GIT contain the complete repository history, virtually any path can be relative. 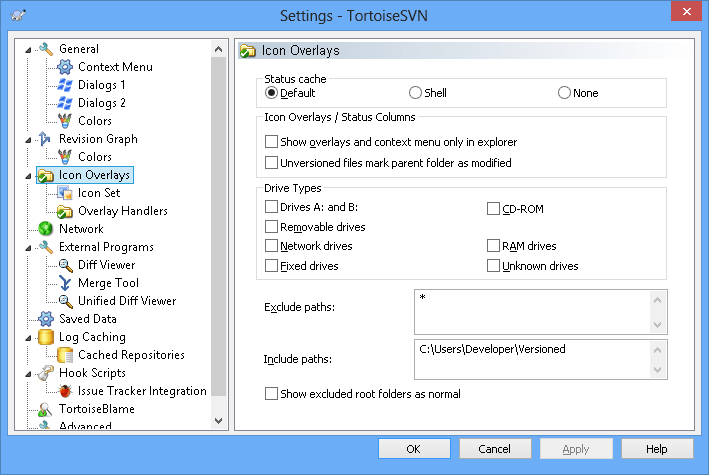 TortoiseSVN: Ignoring Files And Directories. svn – How do I list subversion repository’s ignore settings – Stack Overflow. svnignore – How to create ignore list of several items in SVN? – Stack Overflow. (trick to import a file with ignore patterns using the -F or –file switch; you can add that file to your version control system to make the intent more clear). There is no way for “svn:ignore”+comments. (GIT allows them and HG allows them too). It is easy to delete the svn:ignore list: How do I remove a file from SVN’s ignore list, using command-line? – Stack Overflow. Be careful to add files on the commandline using wildcards (like *) as they will expand, therefore ignore the ignore list. See for instance version control – How to ignore a directory with SVN? – Stack Overflow. If you edit the ignore list after files matching the patterns are already in your repository, then those files will not be ignored. See for instance svn – TortoiseSVN ignore list is not working – Stack Overflow. 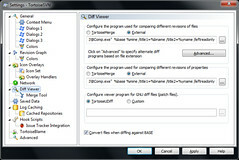 The svn propset will overwrite the existing property. You need to work round this with a trick like in Append directories to ignored list in SVN – Stack Overflow. This is a bit tricky as the standard rename/move in Windows explorer does not notify the version control system about the operation. So you have to perform the rename or move in your version control tool or on the commandline. TortoiseHG rename/move. HG rename (move is just specifying a longer path including directories) Note that the default HG log will not follow a move/rename, but you can fix that.. Subversion Cheat Sheet by DaveChild – Cheatography.com. Mercurial (Hg) Cheat Sheet by codeshane – Cheatography.com. Dave’s Visual Guide to TortoiseHg and Mercurial’s Named Branches – Ratfactor. Git Cheat Sheet by SamCollett – Cheatography.com. Github – Codeschool Git Real Cheat Sheet by wdfelippe – Cheatography.com. Git Flow Cheat Sheet by vmalkani – Cheatography.com. git branch, fork, fetch, merge, rebase and clone, what are the differences? – Stack Overflow. Git Cheatsheet • NDP Software. Zack Rusin: Git cheat sheet. Git-svn for Beginners Cheat Sheet by ezk – Cheatography.com. Git hg rosetta stone · sympy/sympy Wiki. Git equivalents of most common Mercurial commands? – Stack Overflow. What is the deal with the Git Index? What is the Git Index? – GitGuys – GitGuys. Git – SVN Crash Course. Disable default showing on all kinds of media. Include only the paths you perform version control in. For all three, there can be various reasons for overlay icons not to show up, varying from wrong configuration to crossing the Windows limit of 15 overlay icons (which is the reason that all three use the same overlay icon set). 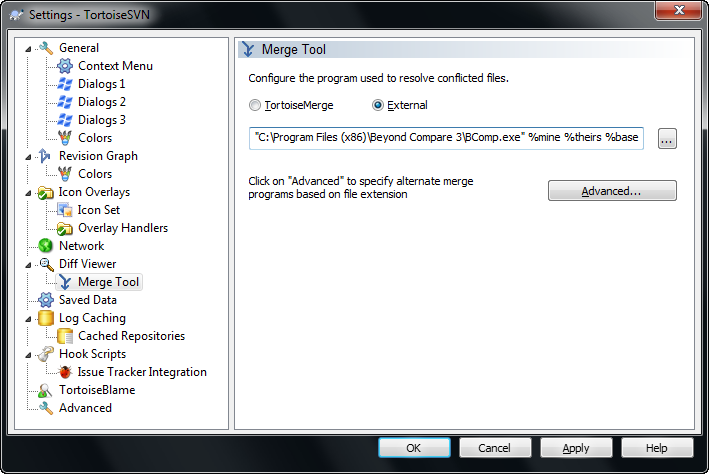 I love Beyond Compare very much as a diff/merge tool as it supports to many file and archive formats. Their support list lists a large number of other tools they integrate with, including many version control systems. Switch the radiobutton to “External” then fill in the path and parameters. Be careful that you do not accidentally change CRLF line endings into LF ones: Delphi still does not like those. See You Clumsy GIT – DelphiFeeds.com. Both Mercurial/HG and GIT support multiple upstreams. I need to put some more research in this though. push – How to set Mercurial upstream – Stack Overflow. github – Git adding multiple upstream servers and tracking their respective branches – Stack Overflow. Pushing Changes from Development to Production? / Forums / Community / EllisLab. Making the Switch to DVCS: The FishEye Teams move from Subversion to DVCS | Atlassian Blogs. Convert from Subversion to Mercurial – Bitbucket – Atlassian Documentation. Use subversion to access a Bitbucket repo – Bitbucket – Atlassian Documentation (unsupported, works only with Mercurial). HgInit: Setting up for a Team. Mercurial repository identification – Stack Overflow. Do not fork an empty repository: as soon as you commit changes to both, they loose their connection because an empty repository has a nullid first changeset to which the fork is bound, but the nullid gets overwritten at the first commit. Git Workflows, Branching & Merging Q&A – blogs.collab.netblogs.collab.net. Introduction to Git Concepts | Intertech Blog. version control – What is the Difference Between Mercurial and Git? – Stack Overflow. Git vs Mercurial: Why Git? | Atlassian Blogs. 10 things I hate about Git | Steve Bennett blogs. You use forks when you do not have write access to a public repository. Pull requests than allows you to offer your changes back to the original repository. But what if the original repository changes? You want to sync your fork, right? On BitBucket with HG, this is easy: they offer a sync button. On GitHub with GIT it is a bit more work: you have to sync through your local clone through what is usually called the `upstream` (the original repository), then push the changes back to your fork. GitHub explains this using the command-line tools at Syncing a fork · GitHub Help, and manojlds for TortoiseGit at github – Can I update a forked project, on git, to the original/master copy? – Stack Overflow. Real-World use of Mercurial with a Team Foundation Server? – Stack Overflow. This explains how to use HG, and how to push/pull from the TFVC. The comments and answers also talk about SVN, and other version control systems. TFS Integration Platform – Home. 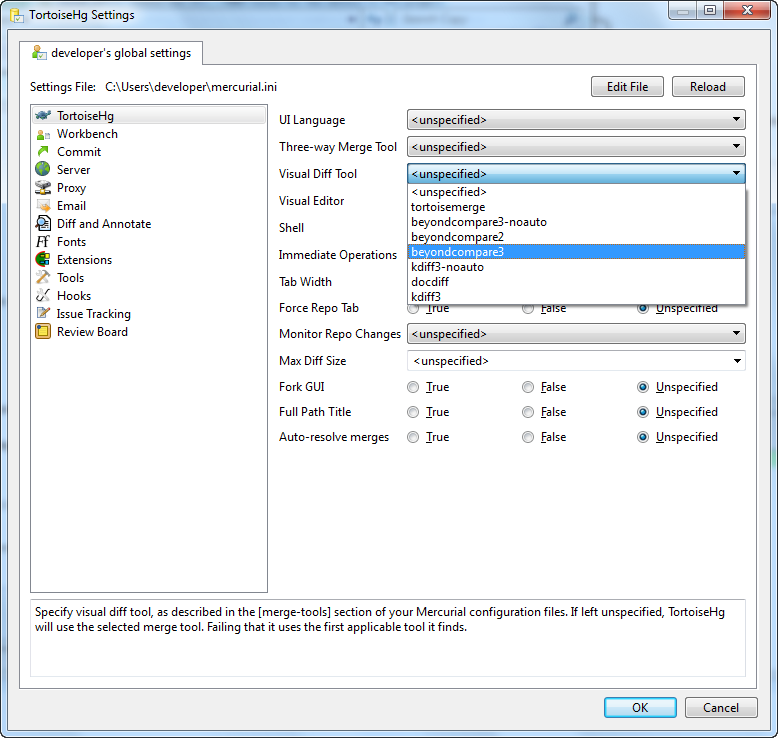 TFS Integration Tools – How can I validate that a migration or sync is working? Q&A-34 – Willy’s Reflections – Site Home – MSDN Blogs. This entry was posted on 2013/10/01 at 12:00	and is filed under .NET, CodePlex, Delphi, Development, DVCS - Distributed Version Control, Encoding, git, Mercurial/Hg, Software Development, Source Code Management, Subversion/SVN, TFS (Team Foundation System), Unicode, Visual Studio 11, Visual Studio 2005, Visual Studio 2008, Visual Studio 2010, Visual Studio and tools. You can follow any responses to this entry through the RSS 2.0 feed. You can leave a response, or trackback from your own site. TFS is very well integrated in VS, but not free and it is not a DVCS. 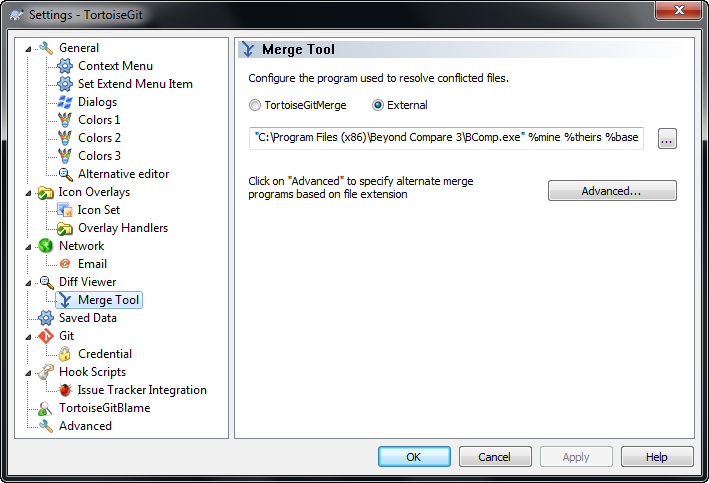 I also use Perforce for some big projects, but it is slow, buggy (it does change file content during submit! ), and even some DVCS-like features (like the Sandbox) is far away from a true DVCS. Bazaar is very easy to work with, and the tools are comparable to Tortoise* versions. I like very much Fossil – and use it for http://mormot.net – since it is very lightweight, very fast, and cross-platform. By default, it is able to mimic a classic Client-Server repository, so is perfect for starting a new project. You can host it in any box, with no need of an external database or high-end hardware. From my tests, it was incredibly fast and efficient even with huge projects (2 GB of sources). But you have to work at the command line, since there is no visual plugin. Personally, I can’t live without TotalCommander, so using the command line is just as efficient as Tortoise* to me. Thanks for the additions for Bzr(Bazaar)/Fossil. I do know about them, but since I hardly used them, I left them out. I never used Perforce, but have used PVCS/Dimensions (not DVCS either, and if not configured correctly, dead slow). TFS support is indeed well integrated into VS, as is Git integration since VS 2012.2. I’ve used TFS a long time and it does have serious merits (especially the integration for automatic builds, issue tracking, sharepoint, etc) but is also a serious Microsoft lock-in (see below for more on that). I wrote this blog article more than a month ago. Since then I’ve had to take it seriously easy because of some digestion system issues that are now resolved so I plan to write more on version control systems. One of the things I won’t cover more deeply (so I’ll summarize below) is that TFS 2013 is going to support GIT out of the box. The reason is that I have moved from being deeply into .NET projects to a much more mixed mode environment covering a lot of tools resulting in moving away from TFS. The combination of lack of TFS integration for non-VS development tools (for Xcode, Git is recommended), the productivity lack of using TFS explorer (especially making it hard to work offline), and very bad way that the VS/TFS integration copes with corporate proxies were important reasons to start researching DVCS systems (then discovering the myriad of other DVCS benefits). The Visualstudio.com cloud-version of TFS has already supported Git since Januari 2013, but the “on-premise” version of TFS 2012.2 did not have Git support. 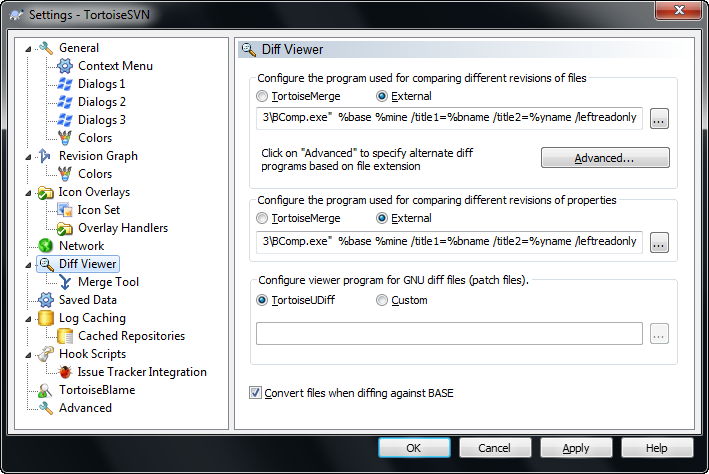 Back in Januari, it was announced that TFS 2013 would get Git support so you can choose between TFVC and Git. 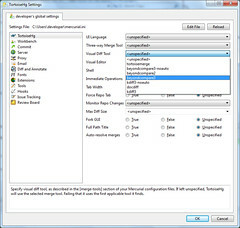 At BUILD 2013, it was announced that TFS Git support to have same integration and enterprise support as TFVC, and TFS 2013 became available as a preview at BUILD 2013. While I was ill, the TFS 2013 RC became available. Too late for me, but still a very interesting release. So I’ve moved to much more heterogenous environments, and experienced that if you move your version control outside your IDE, you get much more flexible.